The Number 1 choice to breed I-80 heifers to! He is also crossing exceptionally well with Heat Wave and Monopoly daughters. 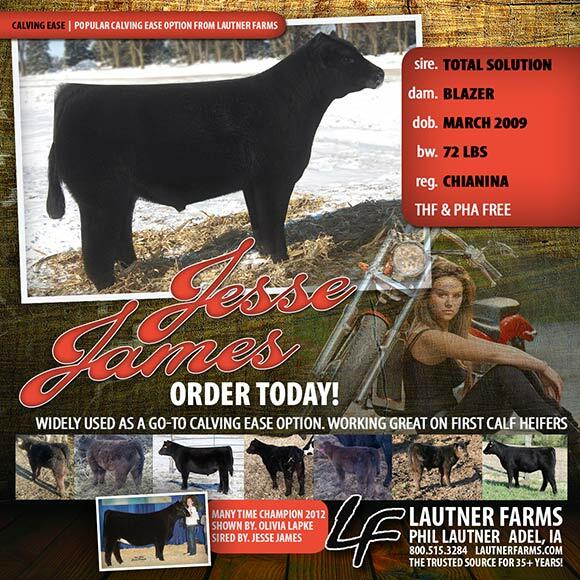 Jesse James continues to grow in popularity as a leading option for breeding first and second calf heifers. 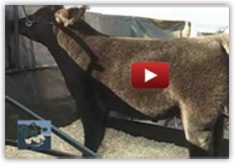 Expect calves to have low birth weights and come with extra style, body depth and look. Sire of the Many time Champion for the Lapke’s in 2012. The 2013 calf crop is shaping up to be Jesse James’ best yet. Order today 800.515.3284.